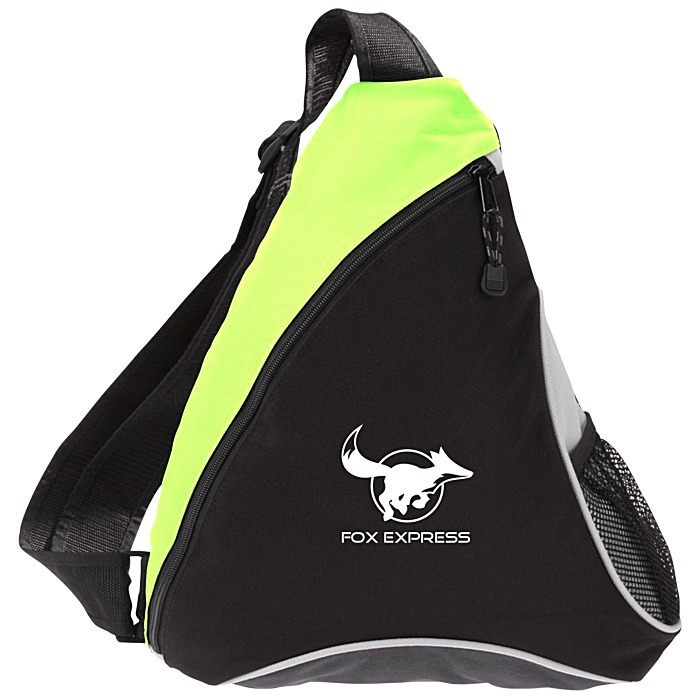 If you're braving the urban jungle, grab this sling-style backpack to carry your stuff! 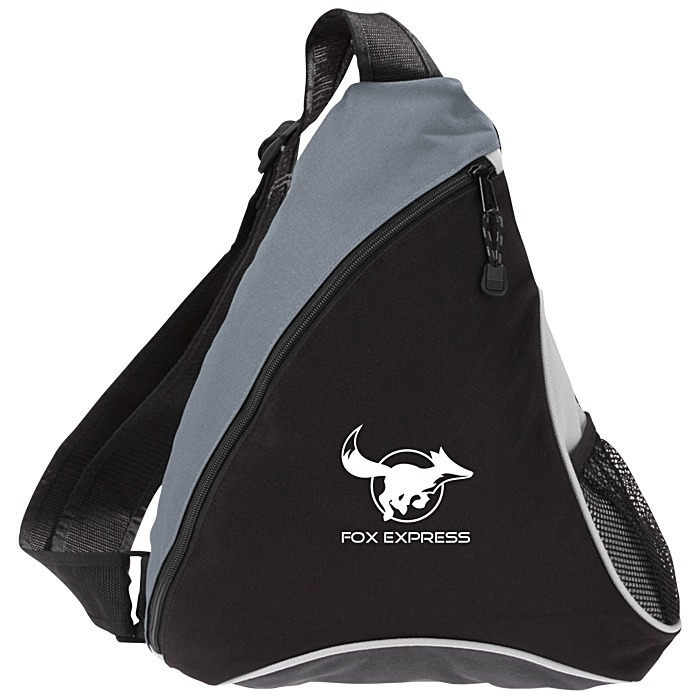 Extra-wide single strap adjusts for hand or shoulder carrying. Features a spacious interior with a zippered closure and a mesh side pocket. Several bold colours to choose from, each with charcoal trim and white piping on the bottom. Size: 431 x 330 x 88mm (17" x 13" x 3-1/2"). 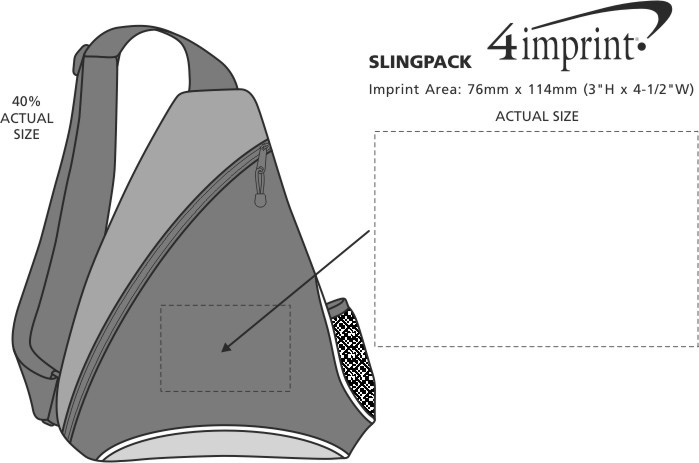 Pricing includes a one-colour imprint on the front of the bag. Additional imprint colours available for an extra charge.